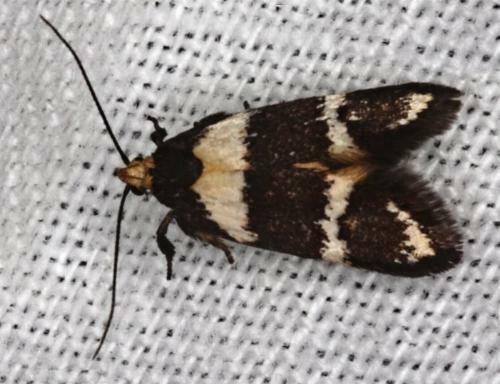 The forewings of the adult moth of this species have dark brown forewings, each with three white bands: two narrow and one wide, and with a yellow smudge along the hind margin. 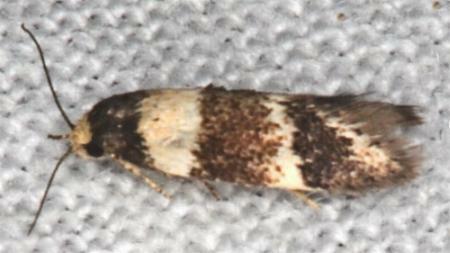 The hindwings are yellow, shading to brown at the wingtips. The wingspan is about 1.5 cms. CSIRO Publishing, Melbourne 1994, p. 100. Volume 23 (1898), p. 53.